Iceland is world-renowned for its economic advancement, social stability, and technological innovation, and is continually ranked as one of the preeminent societies on Earth. Iceland has high quality of life; it is a modern, growing economy, politically stable and internationally competitive. The nation is young, educated, multilingual and enjoys high living standards with a thriving cultural scene. The labour market is highly flexible with people willing to adopt new technologies. Iceland´s nature is spectacular and the source of both inspiration and green competitively priced energy. Icelandic shipping lines operate cargo schedules serving ports in North America, Scandinavia, UK, continental Europe, and the Baltics, and have developed international freight forwarding systems. They also operate bulk charter transportation for specific imports and exports, e.g. industrial raw materials and finished products. Shipping from Iceland takes 3–4 days to Europe and 7–8 days to North America. The freight ports in Reykjavik Capital Area are extremely busy all year round with both imports and exports to and from harbors all over Europe and the USA. 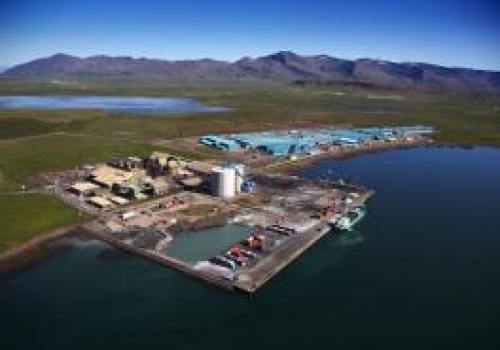 The two largest freight companies in Iceland, Eimskip and Samskip, both have extensive transport systems connecting northern Europe all the way to Murmansk and America. The companies also specialize in temperature controlled shipping. Faxaports operates several harbors in and around Reykjavik. 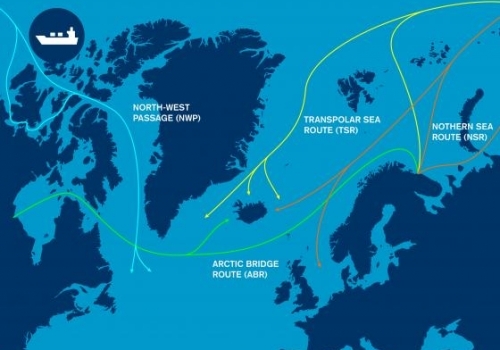 The shipping route over the North Pole has been opening up in the last few years and traffic has been increasing rapidly although still at very low levels. This could become a new transport connection between the rising economies of East Asia and the established economies of America and Europe. 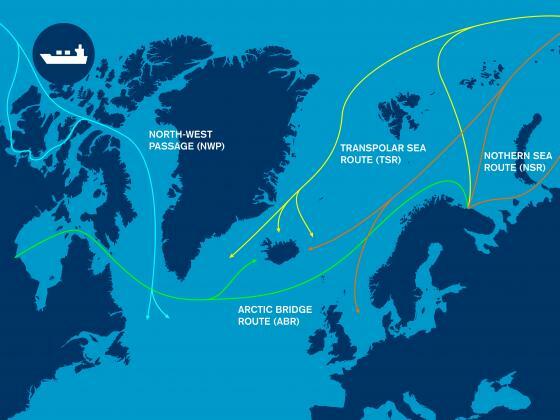 Iceland is located in the middle of the central Arctic shipping route and is well positioned to act as a logistical hub for specific market niches. As a logistics hub, Iceland lacks the hinterland of larger countries, but it can provide all necessary services and direct flight connections for crew replacements. 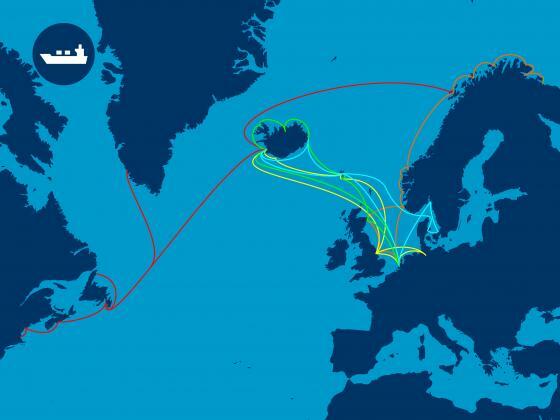 Several locations in Iceland have been analyzed for a possible transshipment harbor. Reykjavik’s International Airport, Keflavik International Airport is located 45-minutes from the city center and is Iceland’s principal international airport, with 35 daily destinations in Europe and North America. During summer this number rises to 65. Flight duration to Europe is 2.5-5 hours, and 5-7 hours to the United States and Canada. Domestic air services run from Reykjavík Airport, located next to the two universities west of the city center, with regular domestic flights between the largest population areas around the country including Akureyri, Isafjordur, Egilsstadir, and the Vestmannaeyjar Islands. The domestic terminal also services flights to Greenland and the Faroe Islands. 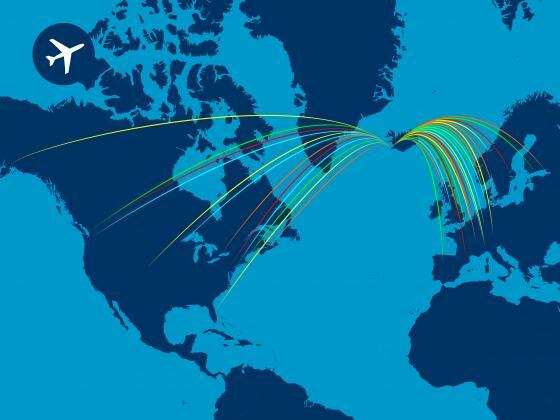 Reykjavik has direct flights to all other countries in the arctic council. 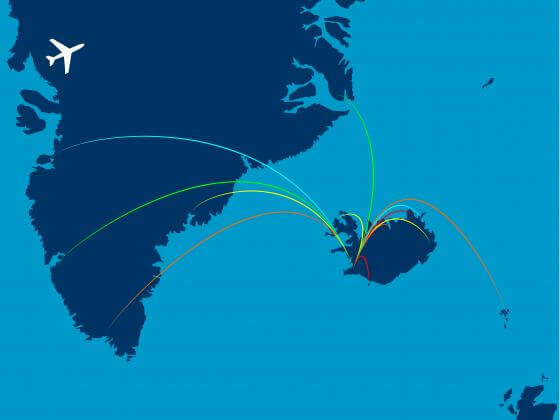 Services to Greenland from Reykjavik give developers looking towards that area a great logistical hub for development. Greenland is believed to be endowed with oil, massive deposits of rare earth elements and a landscape that is attractive for tourism. Greenland has limited international flight connections, with only a handful of international flights from Copenhagen to the international airport of Kangerlusaak, often requiring transfers to final destinations. 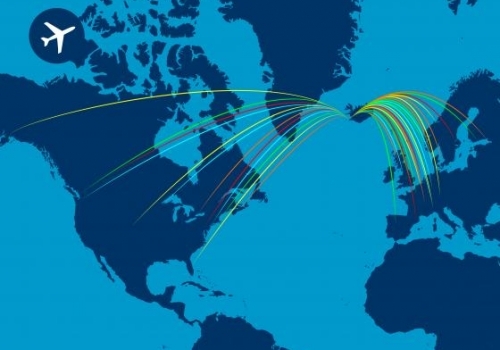 By using Reykjavik as a hub, international companies have regular direct flights to their home base and can fly directly to their development locations in Greenland. Reykjavik is positioning itself as a prime location for data centers. Iceland is well connected with the East and West via an efficient Internet service and a thoroughly modern telecommunications network. 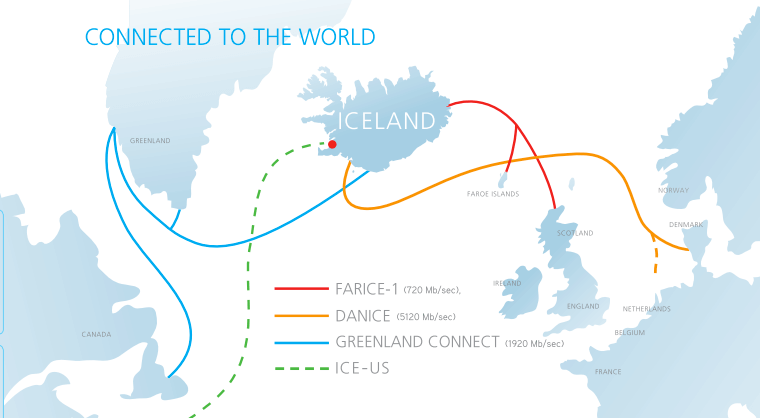 Iceland has one of the fastest Transatlantic Internet services with Europe and North America via a number of fibre-optic submarine cable systems. 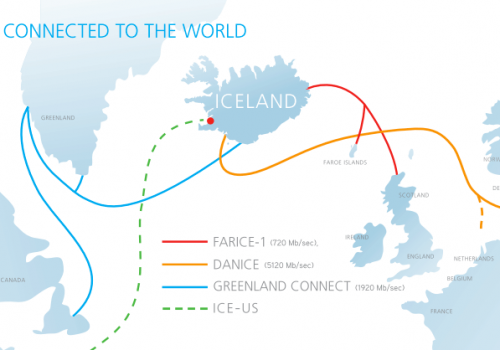 The fibre-optic submarine cable systems are Farice, Danice, Greenland Connect and Cantat-3. 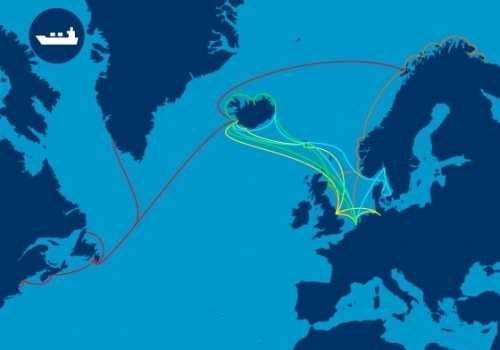 The Icelandic infrastructure for telecommunications networks and services is highly advanced and all populated regions in the country have access to high-speed fibre-optic cable services. Over 90% of the population has access to the Internet. In 2015 Iceland ranks number 3 on the ICT development index. The Grundartangi port and industrial site is in a non-residential area on the northern shore of Hvalfjordur, 49 km from Reykjavik. The land is green and flat, a former agricultural field and totals 439 hectares, of which some 311 hectares may be developed as building sites. Additionally, 50 hectares can be created by landfills. Already there are two big companies in the area, Elkem Iceland having a 12.9 hectare site, and Nordural which has a 129 hectare site. Sites have also been allocated to four smaller companies. The remaining area for further development is some 160 hectares. Associated Icelandic Ports, which is an independently operated company owned by five municipalities.